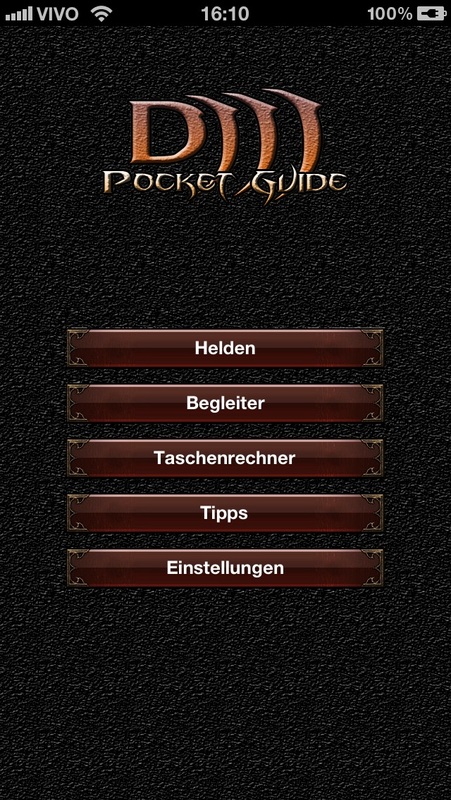 This is a multi-language Diablo III guide for iPhone. English, Portuguese (BR), Chinese (T), Korean, Russian, Polish, Italian, German, French and Spanish. 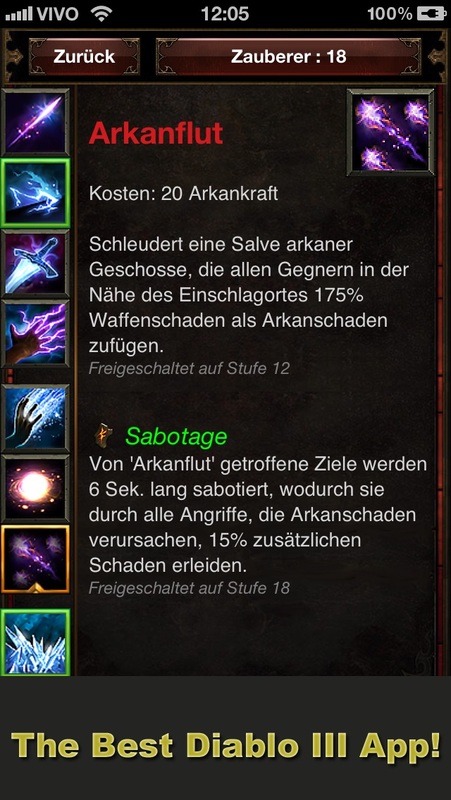 *All skills in different languages are from Diablo III official website. 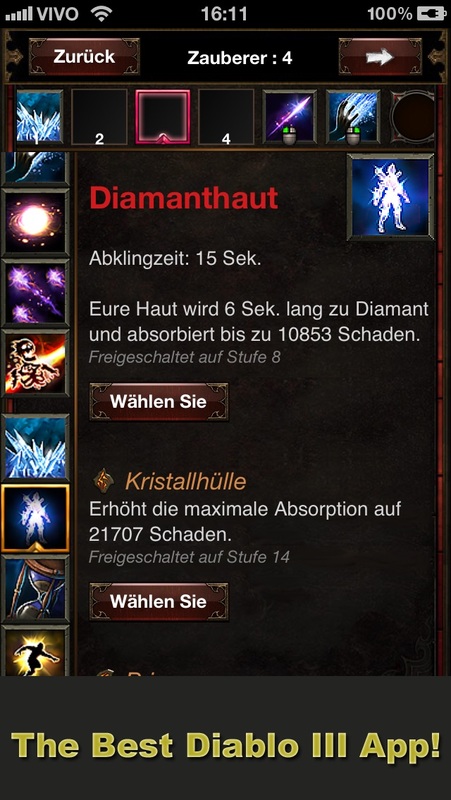 + Skill calculator, share your builds with your friends. 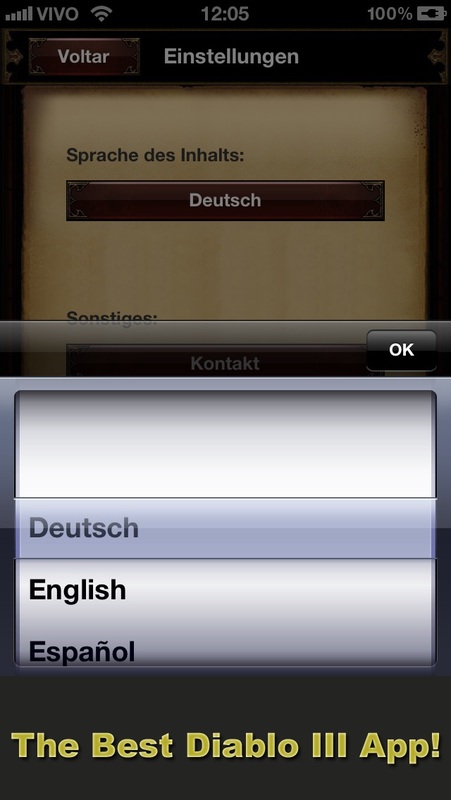 + You can choose a different skill language from your device language. + You can filter the heroes skills by level for better visualization. 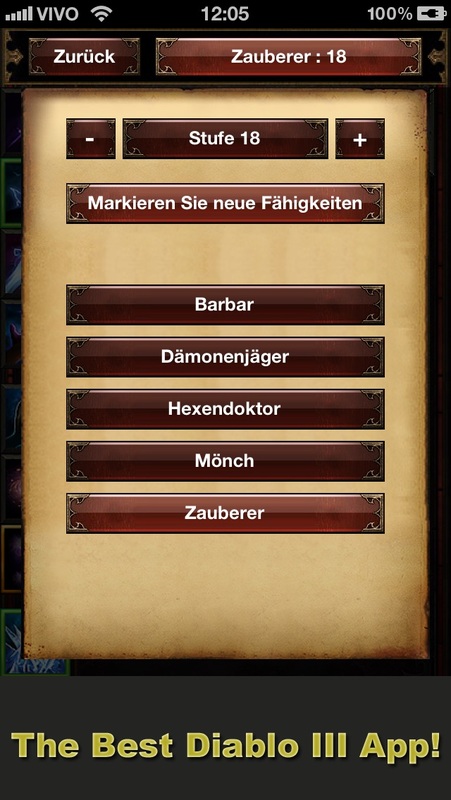 + You can highlight heroes unlocked skills for each level. + Skill calculator, sharing builds by Email, Text Message, Twitter or Facebook. This app is not from Blizzard neither them support it.